The Mosaic Film Experience announced the winners of its 2018 Mosaic Mobile contest during a week of events celebrating creativity and storytelling. The Mosaic Film Experience (MFE) announced the winners of its 2018 Mosaic Mobile contest during a week of events celebrating creativity and storytelling. Mosaic Mobile is a short-film competition for West Michigan high school and college students where films are shot, edited, and entered on mobile devices. 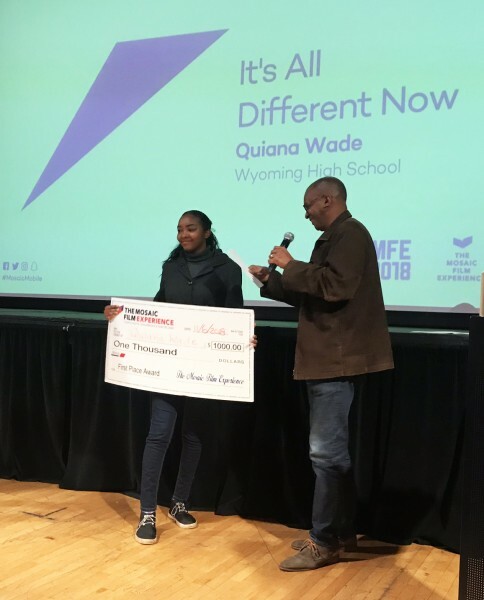 First place winners in the high school and college categories each took home $1,000, second place winners received $500, and third place winners each collected $250. The Rick Wilson Memorial Award winner, which is determined by public vote, won $500. Watch 2018 Mosaic Mobile High School winners and finalists here. Watch 2018 Mosaic Mobile College winners and finalists here.